Today’s card has been designed in my favorite color: green! 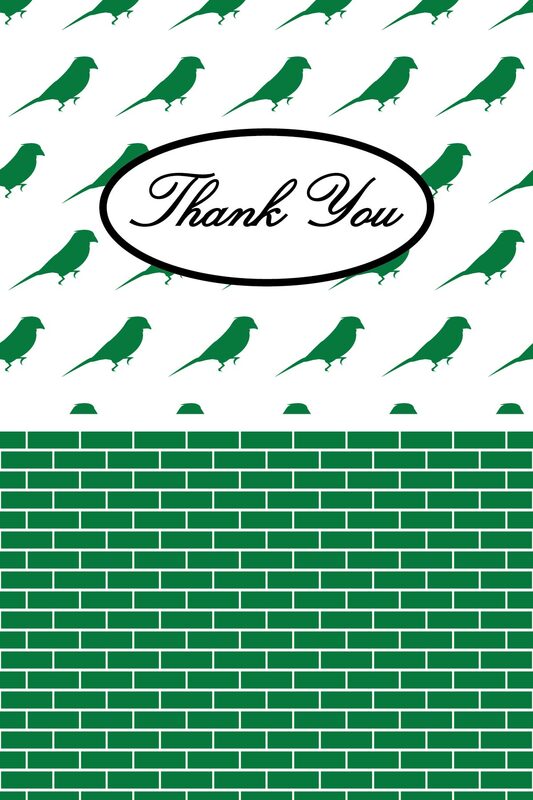 My inspiration came from a vanity bathroom, and the walls were covered in this cool bird wallpaper and subway tiles. I’ve seen subway tiles in a kitchen backsplash, but not in a bathroom. I was drawn to the vanity bathroom because of the juxtaposition between the delicate wallpaper and tough subway tiles. Basically, I thought the two elements looked good together. 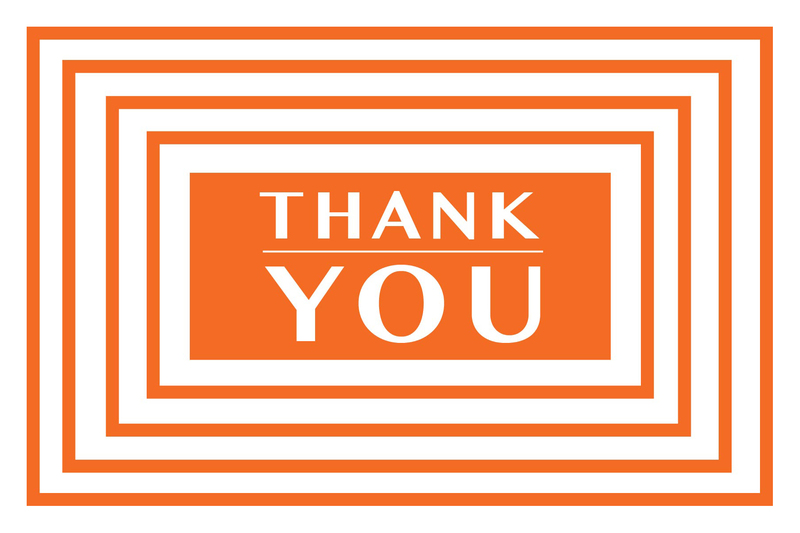 So, here’s my take on it as a Thank You card. Today I had more good surprises come my way and they put me in a happy mood. My day didn’t start out on a high note, but it did get better as time when on. The good surprises helped make my day even better. Okay, I’m too tired to continue typing any longer so I’m just going to post my card for today which is inspired by a beach umbrella. I’ve had some good surprises today, and I’ll be even more excited when I can see the full results later on. 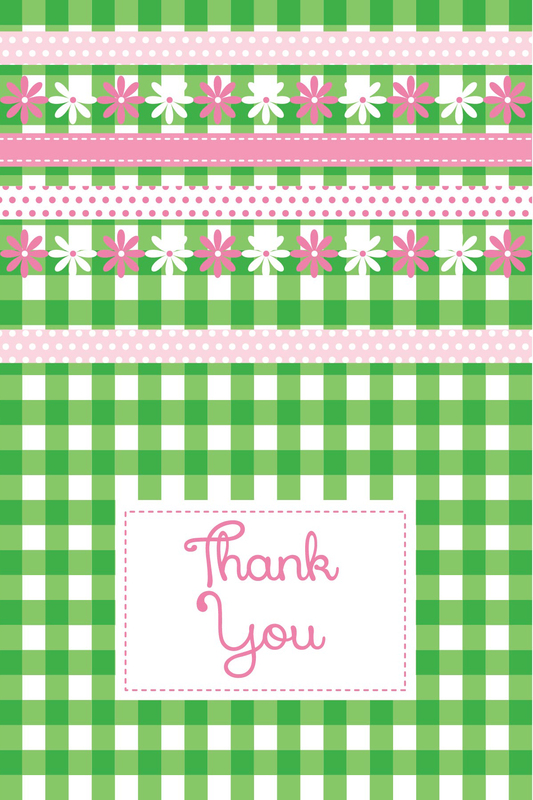 In the meantime, let’s talk Thank You card! It’s inspired by a design with stripes. You’re probably sick and tired of looking at my cards with stripes, but I love stripes! 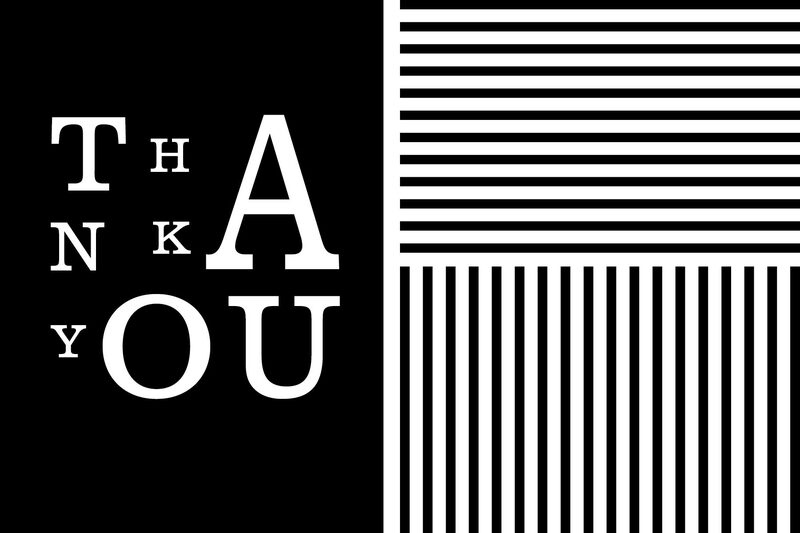 I just put a new spin on the stripes by making half the card in solid black and a unique way to layout the text in white letters. That line comes from one of my favorite movies, Dirty Dancing, staring the late Patrick Swayze and Jennifer Grey. I don’t know what is was with that movie, but I loved watching it when I was growing up. However, I had forgotten that the theatrical production is in town until someone at work mentioned they were going to see it tomorrow night. So, when I got home and went online in search of a ticket. I just happen to be off next Friday night and I had no idea if I would find an affordable ticket for the show. Surprisingly, I found one! It’s in the balcony, but it’s a front row seat and the price was right. I was afraid that if I waited, the seat would be gone and I wouldn’t find another ticket any cheaper than what I paid. Happy Dance! Anyhow, today’s card is NOT inspired by Dirty Dancing, but a menu. It was designed in yellow, black and white with a 1950s retro vibe that I really liked. 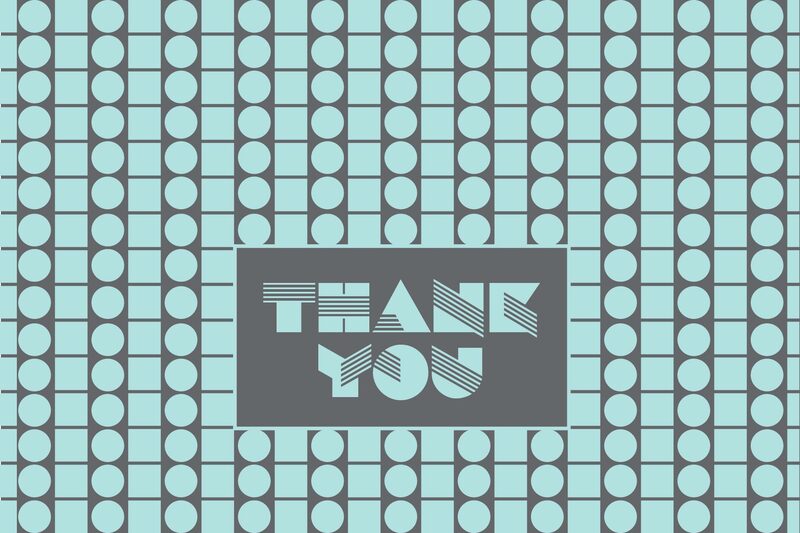 The menu contained lots of food illustrations, but since my Thank You cards don’t include food, I replaced it with a patterned background instead. 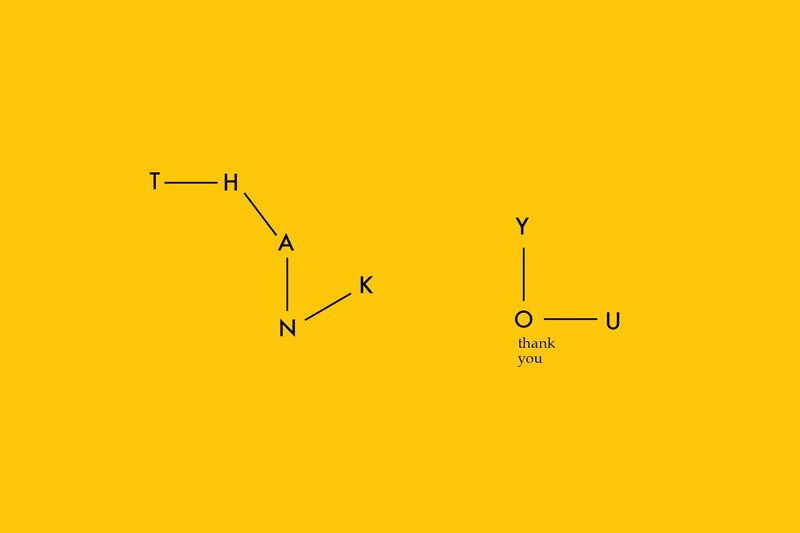 I think I’m going to beat my deadline today for a Thank You card. It’s inspired by a business card using blue shapes: circles, squares, and a rectangle. Okay, I don’t feel like talking about it right now so here is the card. I had so many things to get done today, and I’m still working through my to-do list. But I do have a card completed for today! It’s inspired by branding. 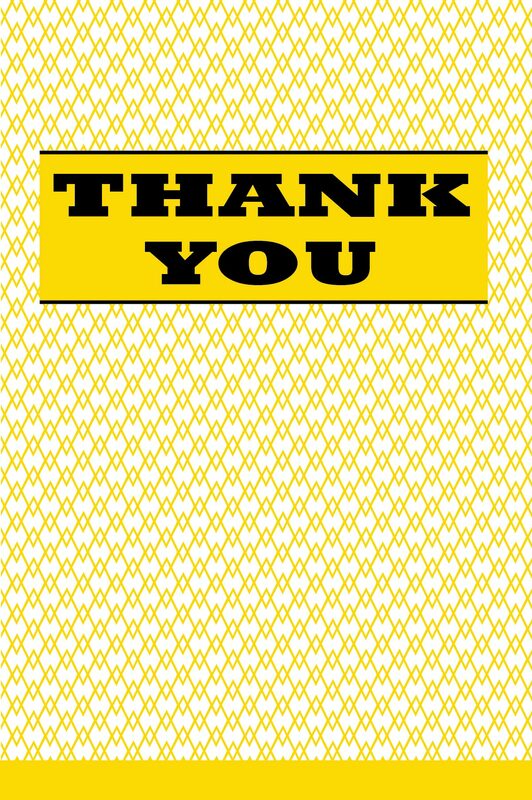 I liked the yellow and black color combination, and the way the designer arranged the letters. So, I created my version for today’s card.